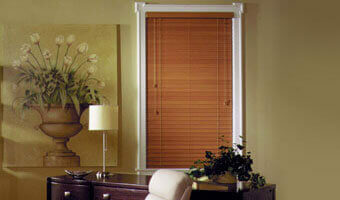 In addition to our quality shutters, we also offer a large selection of blinds in a range of styles. Our experienced window treatment specialists can help you choose the best style to meet your needs and budget. Custom blinds installations are available to ensure a perfect fit. We offer free in-home consultations throughout Southern California, and we'll bring samples and discuss the different options with you. Once you decide what style of window blinds you want and we have taken exact measurements of your window openings, we will provide you with an upfront, no-obligation estimate. There are no hidden charges or other surprises; the quote we give you will not change once you hire us. Call Castle Shutters today; we guarantee your full satisfaction with every project. We are a fully licensed and insured window coverings company based in Laguna Niguel that serves customers throughout Los Angeles County, Orange County, and San Diego County.